The City Law School’s Professor of Public Law, Professor Ian Loveland, says the US Commander in Chief could also face criminal proceedings under the United States Criminal Code. 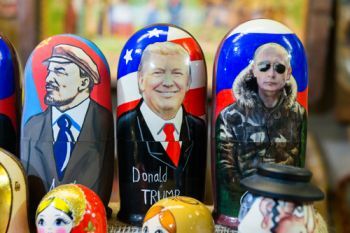 Professor Ian Loveland says US President Donald Trump could face impeachment proceedings if it is found that he told former FBI director James Comey to halt an investigation into Russian influence on American politics. Comey was fired by Trump on 9th May 2017. This came close on the heels of a beleaguered White House still struggling to explain the revelation that the President had disclosed highly classified information to the Russian foreign minister and the country's ambassador to the United States. Speaking recently to the Associated Press (AP), Professor Loveland stated that Trump could face criminal proceedings under Section 1518 of the United States Criminal Code, which makes it a crime to "obstruct any person in a way that impedes the administration of justice". Trump personally appealed to Comey to abandon the bureau's investigation into National Security Adviser Michael Flynn, according to notes written by the former FBI director. The White House issued a furious denial after the notes were disclosed on 16th May. Professor Loveland, who teaches US constitutional law, said Trump would be in "substantial difficulty", if his motive in trying to halt the investigation was to protect his administration from revealing that (former National Security Advisor) Mike Flynn or any other campaign worker had done something that "might amount to treason". "What may work against Donald Trump here is a fear on the part, particularly of members of the House of Representatives who are facing re-election in 2018, that their own majorities are sufficiently precarious, that if they do support the President on what are purely partisan grounds, and demonstrably so, they may well lose their seats next time around”, added Professor Loveland. “It may transpire that as months pass some of those Republicans take the view that their re-election prospects are best-served by campaigning on behalf of the constitution, against the President, (rather) than by seeking to preserve the president's position in office." “Comey could simply give a television or radio interview revealing what was done, offering up this memo if indeed it exists. I suspect given that he has been a career law enforcement official for many years he would not likely follow that course. 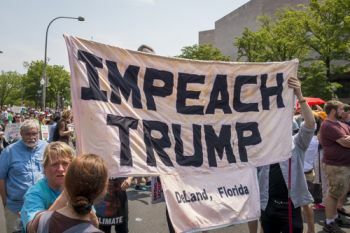 Where his testimony might most be an issue is if the House does at least begin to consider whether impeachment proceedings should be undertaken." He will be called to give evidence there, and I would find it hard to believe he wouldn't give it quite willingly and I would suspect that he would be regarded as a fairly reliable witness, certainly more reliable than the President himself. But then we're in the rather unusual position, I think, which the framers of the US constitution would never have envisaged - that you have a President who either does not recognise the difference between truth and lies or simply doesn't care about the difference. To view Professor Loveland's AP interview, please visit this weblink. The United States House of Representatives makes and passes federal laws. It is one of Congress’s two chambers (the other being the US Senate), and part of the federal government’s legislative branch. The number of voting representatives in the House is fixed by law at no more than 435, proportionally representing the population of the 50 states.